Fantasy Flight Games have announced the Lando’s Millennium Falcon Expansion Pack for X-Wing Second Edition! This expansion pack will join the rest of Wave I for X-Wing Second Edition, releasing on September 13th, 2018! 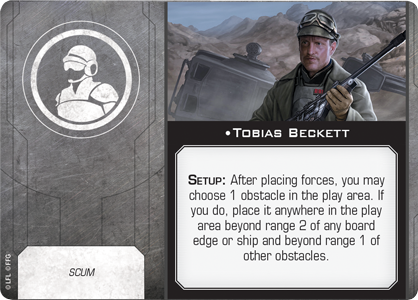 These turrets need operators, of course, and you can enhance their effectiveness by adding a gunner from among the thirteen upgrade cards found in this expansion. 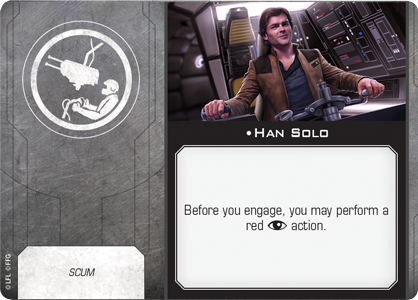 In addition to being an ace pilot, Han Solo is just as good in the gunner seat, granting you the ability to perform a red focus action before engaging with enemy ships. In effect, this gives you the chance to rotate your turret into position and focus in a single round, providing ample opportunity to do some damage. Lando’s Millennium Falcon features a double turret arc as its primary weapon, covering half the space surrounding the ship! Even more unpredictable is the Falcon itself. Han Solo may have put his own mark on the ship, but Lando Calrissian also gave it a few tricks of his own that you also include. With a Rigged Cargo Chute, for example, you can dump a fresh obstacle into the middle of the battlefield and—if you’re lucky—into the path of enemy ships. What’s more, Lando always had an exit strategy, and this version of the Millennium Falcon also includes the escape craft featured in the film. 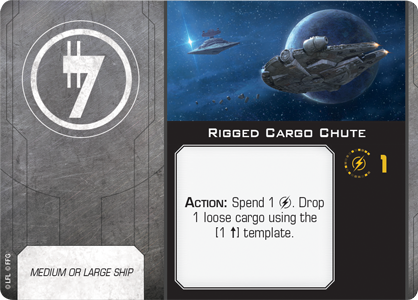 This craft docks snugly in the larger miniature, even as it makes Lando’s Millennium Falcon more versatile with the ability to launch this escape craft, which can operate independently from the larger ship. The Millennium Falcon has woven itself into the history of the galaxy on a number of occasions. Now, the Lando’s Millennium Falcon Expansion Pack lets you experience the untold history of one of the galaxy’s most storied ships. Take the controls and build your own legacy! 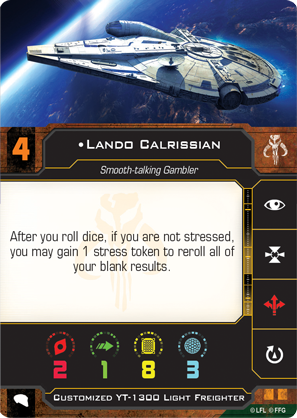 Lando’s Millennium Falcon will be releasing alongside the rest of X-Wing Second Edition Wave I on September 13th!